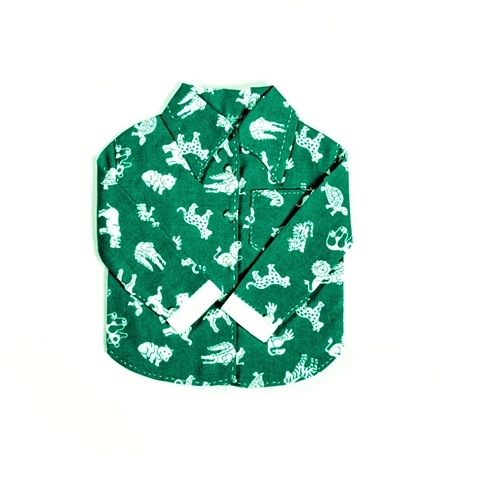 This is a child’s shirt that was most likely inspired by Garin’s Garranimals and Marimekko in the early 1970’s. It has an unusual white border trim with white cuffs. Today this pattern for children would seem rather garish but during this time, designers were much more colorful and resourceful in their design acumen. The sky seemed to be the limit in childrenswear patterns.